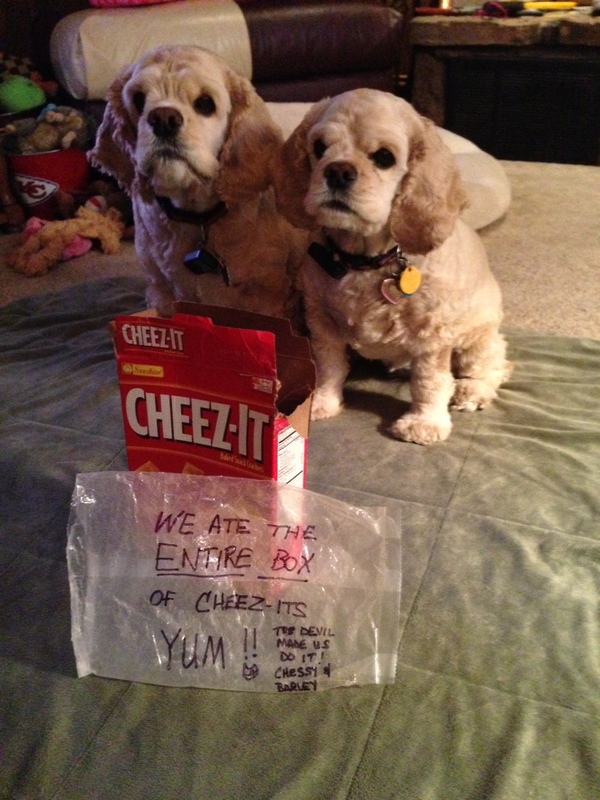 Barley & Chessy ate an entire box of cheez-its with little damage to the box or wrapper. Not a crumb to be found. Very proud of their clean up! Posted October 23rd, 2013 . They are very tidy eaters! My dog friend, a lab/Chow mix, doesn’t like Cheez-its. I gave her a few, and she chewed them up, and then spat them out. 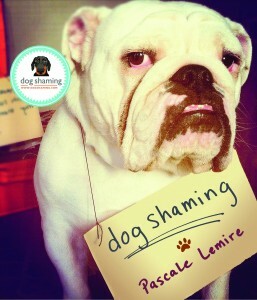 Oh.my.word! Their faces are too stinkin cute!! They look like little stuffed animals. Their fur looks like it would be as soft as silk. Love Cocker Spaniels! The can be uber sneaky too. What breed are these dogs?? They’re adorable! !